As a small business owner, you may have to renew your business license or registration. In Ontario, you must renew your business license every five years or otherwise register your business as new. Small business owners frequently ask us about this topic, and in this blog we’ll discuss how to obtain and renew your Ontario Business Registration, or Master Business License. Renewing your business license must be done in a timely manner to avoid unwanted issues. Registered businesses have up to 60 days after the expiration date to complete the renewal process. The renewal of your license requires your BIN, along with the information that was provided upon first registering the business. You can renew your business license by mail or phone, online, or in person. Additionally, businesses may choose to cancel their registration. In Ontario, you’ll need to file a cancellation with the provincial government and provide the information that was originally filed when first registering your business license. An Ontario business license can be granted to two different types of businesses: Sole proprietorships and partnerships. In order to register your business license, you must provide information related to your business including its name, mailing address, and individuals who are authorized to register the business in Canada. With each amendment, an individual is required to be named as the authorization person making the change. Typically this is one of persons who has registered and are amending the business. The activities that are carried out by the business must also be outlined as part of the registration process along with the principal location in which the business operates. There are a number of considerations that business owners must make when obtaining and renewing their business licenses. Business owners must first register a business name. This is especially important as your business name allows you to be recognized within your marketplace. You should choose a name that is unique while also providing a sense of what your business is all about. Your business name should not cause confusion among potential customers. If your name is too similar to that of an existing trademark or business, it can lead to legal issues. Currently, small businesses in Ontario have little name protection, which means that local governments will accept any name provided. This further increases the risk of legal action by competitors if you choose a name that resembles that of other businesses. When your business is registered, you will receive a Business Identification Number (BIN). This denotes that you have registered your business, and any changes that are made to its name, address, or activity must be done so using this BIN. We help businesses simplifying the entire process of business registration and renewal. 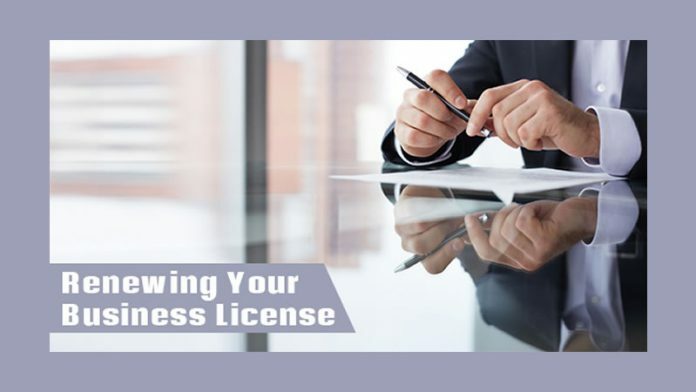 Understanding how to register and renew your business license gives you the tools you need to establish your business and achieve long-term success.